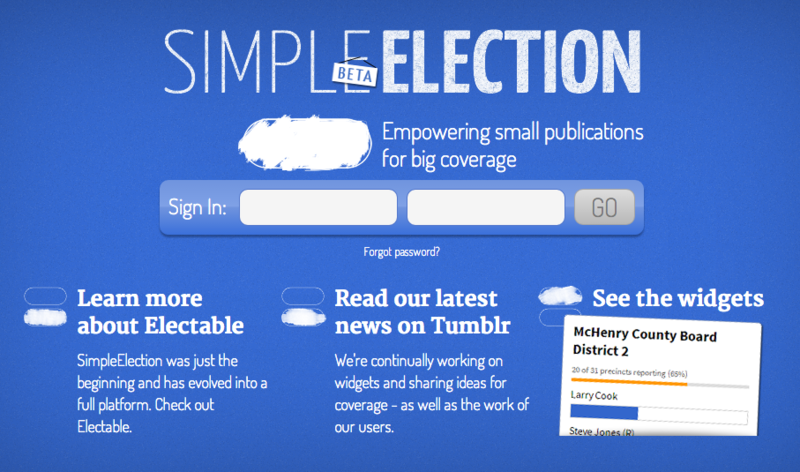 Design wasn’t my top priority when developing SimpleElection; instead I wanted to quickly test a premise that news outlets would be interested in using election-related widgets. On election night, I updated an electoral college map for the presidential election and a counter marking the balance of Congress. I launched only a week prior to the election and eighteen sites used our widgets. I’m currently working on turning this product into a business venture with Electable.